If you've absolutely had it with work pants that bind and pinch every time you move, check out these Wrangler Riggs Men's Loden Green 3W020 LD Cotton Ripstop Carpenter Jeans. These good looking, hard working pants stand up for your freedom to move. With a high r ... (see full details) (see specifications) #WRG3W020LD. If you've absolutely had it with work pants that bind and pinch every time you move, check out these Wrangler Riggs Men's Loden Green 3W020 LD Cotton Ripstop Carpenter Jeans. These good looking, hard working pants stand up for your freedom to move. With a high rise and a relaxed Room2Move® fit, these work pants feature a gusseted action crotch and an improved fit in the thighs, seat, knees, as well as the bottom leg openings, which are wide enough to fit over your boots. The fabric in these Riggs jeans is 100% ripstop cotton, a breathable, durable weave that stops small tears from spreading and turning into big rips that ruin your pants. And that's not all when it comes to durability. These work pants are made with a sturdy #5 YKK zipper and 1/4-inch by 2 1/4-inch belt loops that can handle your work belt. You'll have room for a lot of stuff in these loden green jeans.There's an oversize watch pocket and the front pockets are a full 13" long, made with 7.25-ounce white pocketing and a patented reinforcement on the right front pocket for clipping on your tape measure. Around back, the back pockets are lined with 1000-Denier Cordura® fabric that resists tears and abrasions. These are carpenter pants with an extra tool pocket on the left leg and a hammer loop on the right leg. If you're looking for freedom of movement and durability, put these Wrangler Riggs Loden Green 3W020 LDCotton Ripstop Carpenter Jeans in your closet. Yours are waiting at Working Person's Store. Order today! My husband now has 3 pairs of these pants and I will NOT allow him to buy any others! For him as an electrician the "ripstop" part of these pants is key. He can literally blow through a regular pair of work pants in a month with the abuse he gives them, between nails getting caught and tearing them or the drill he hung on the hammer loop "for a second" ripping that off, or um, squatting down the wrong way causing a certain "very important" seam to rip open - which HAS happened, I'm not making it up!!! I don't quite know how he got through the rest of that day with his underwear hanging out but sometimes it's better to not ask questions. I think I remember strategically placed electrical tape was the fix...so please don't get me wrong, Carhartts are GREAT pants but just not for my particular husband to wear to work. The Riggs pants have lasted 10 months so far (literally saving us at least $30 per month to buy a new pair) and clean up beautifully - they wash and dry very well with no color bleeding or shrinking since day 1 and since he doesn't have a pair for every day of the week yet they certainly have been washed and dried many times now! He loves that they breathe even when he's wedged in an attic in 95 degree heat and has also mentioned the "freedom of movement" in the nether regions that he doesn't get in any of his other pants. Buy 2 pairs of these, get the free shipping, and leave your computer knowing that you just spend your money wisely. The people at Wrangler who designed these pants are obviously in tune with what real people need when it comes to work pants! These are a realy comfortable pair of jeans. These really don't bind... you know where. What I especially like about them is the fabric. It breathes much better that bluejeans especially in the Texas heat when working outside. It is thinner than denim and lighter. My only complaint about these pants.... they only come in one color. Yea...I'm getting another pair, but I'de like more color options. I'm hard to shop for so when I find a pair of pants I like I'll buy 4 or 5. Very comfortable jeans, good pant leg to fit over rubber muck boots. Lots of moving room. But good looking. I love these jeans compared to all others because of the fit and feel. The durability is second to none. When I work outside in the northern cold, I dont feel the wind blowing through them, but they breath in the warm weather,how do they do it.You wont go wrong with these Riggs jeans. I'm a garbage man, and I own two pair of this Ripstop. Its the best pants in toughness, comfort and style in workwear. I dont think I would buy any other pants for work rather than this. 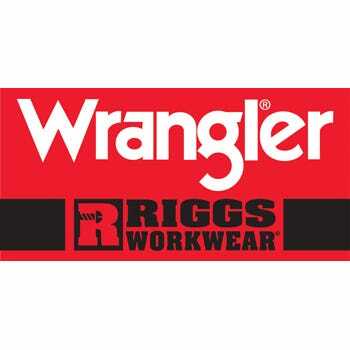 Wrangler Riggs Jeans: Men's Loden Green 3W020 LD Cotton Ripstop Carpenter Jeans is being added to your cart.